Welcome to the Toy and Game Reviews Board Game section. If you want to buy board games, you've come to the right place. Here you will find the best board games available including family board games and classic board games such as Monopoly, Cluedo, war board games like Risk and Scrabble board game as well as many others (Mousetrap, anyone?). 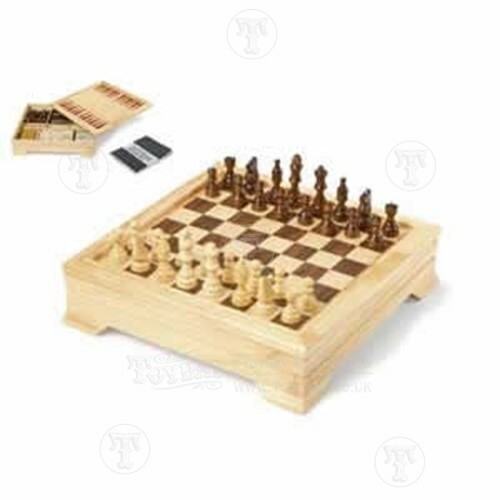 Classic board games such as backgammon, draughts or chess might be more your thing - if so, check out the beautifully crafted wooden or marble chess pieces. There's even a chess clock for the more serious player. After a bit of board game variety? Why not consider a games compendium? Whatever board game you're after, you should find what your looking for at Toy and Game Reviews. Superb assortment of compact magnetic travel games for children to while away the hours. Complete with playing instructions pieces can be stored in the clip shut box when not in use. 12cm long. 6 assorted. Age 3. The new whacking feature and frustrated characters give this game a real lift. Contains 2 die, if you're lucky you can gain the powers of the Genie to protect your characters from being sent home!